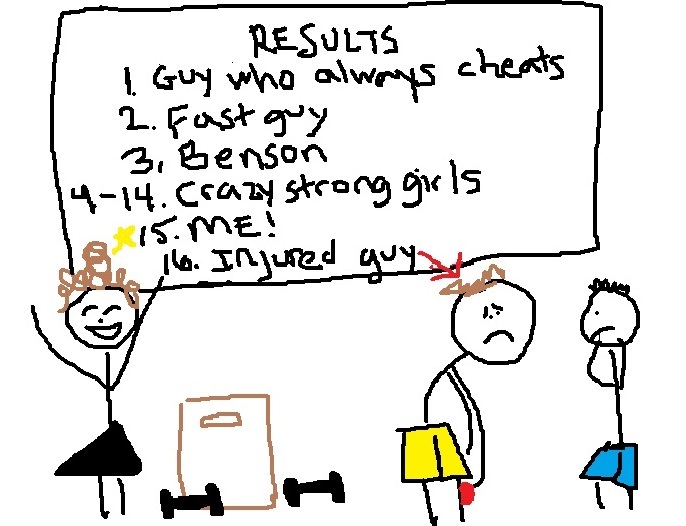 I came in second to last yesterday in CrossFit. The big win was a result of this guy with an injured knee. Do I care? Nope! Ran right past that sucka! After the workout, the loser grabbed his knee in agony and some people crowded around him while I pumped my fist into the air, basking in my victory. Now, off to sign up for whatever class that guy with the bum knee signs up for tonight.